We’re all trying to wrestle our demons in our creative work, aren’t we? I highly recommend fasting if you are in fact staring into the face of the Devil. There’s something about hunger and exhaustion that brings one face to face with one’s best and worst selves. I learned a lot about myself this Ramadan. Not least because I wanted to concentrate less on the ‘acts’ of worship and more on being a worshiper, a slave of Allah. And that means paying attention to the beliefs that stop me from worshiping Him as he deserves. They are many and varied and more than a little colorful, so I won’t go into details to protect myself from the innocent and guilty. In addition to the Noble Qur’an, I also partook yet again of Brene Brown’s Gifts of Imperfection. I’ve read it before but I felt like I was reading it for the first time. So many of the guideposts seem to be speaking just to me. My final analysis? My life has been tyrannically ruled by shame. There isn’t an aspect of my life that shame hasn’t poked its slimy fingers into. I’m ashamed that I wasn’t able to hold down a job. I am made doubly ashamed by the fact that I was an honors student in high school and did pretty darn well in college. Still no Bugattis and babes for me. I’m ashamed that I’m a filmmaker. No, really. I’ve claimed it. But I still can’t look people in the eye when I say it. There are many other things that I am ashamed of, but not everyone deserves to hear my shame story. You, dear owner of eyeballs, may well be deserving, but this is still a public forum. Oh and addiction! Brene Brown waxes eloquent on the subject of addiction and dude…have I got some real doozies! The ones I’ve identified so far are: Anger. Sugar. Overworking. Now if I find myself reaching for chocolate, having a mile-long to-do list, ruminating on past slights by a few chosen people (I know who my favorites are. I keep coming back to them), I find myself wondering what vulnerability am I trying to escape. Being human is hard. Covering up our wounds, pretending we’re okay, makes it unbearable. Fasting helped me figure who my true Friend is and who my real enemy is. Fasting helped me deal with me as I am, not as I wish I was. Because as it turns out, I can never be perfect. Who woulda thunk it? May Allah Subhana wa Taala accept all our acts of worship and bless us with another Ramadan Ameen! I miss you, Ramadan. Come back soon. Two years since I wrote Part 1 and I still agree with these thoughts. I’ll be darned. It’ll be useful when I enter the mire of indie film-making and need a compass to get my bearings. So in keeping with my promise to myself in that last blog post, I have been devouring rom-coms as quickly as I can. Which means a few a month (I have a toddler). In My Girl Friday, the role Hildy thinks she has to play is the one of the wife, away from journalism. But journalism, and her ex-husband, keeps sucking Hildy back in. In Tootsie, he is encased in it i.e. starring as a woman in a soap opera. The first professional success he’s had in years. He falls in love with his co-star while knowing that escaping this role is practically impossible. To me, this feels true to my life. It’s chaotic and love happens when I’m not paying attention. The professor in Bringing Up Baby chases a bone and a leopard across three states and ends up falling in love while doing it. The professor in Monkey Business is trying to nail down the formula for his anti-aging serum but instead realizes he loves his wife and couldn’t care less about aging with her. In most of these madcap movies, it turns out the thing they were chasing wasn’t that important after all. As usually is the case with things we chase. Annie is trying desperately to cover over her insecurities. But the more she tries, the more they burst to the surface, causing an ever-quickening tornado of chaos. Of course, climaxing with her punching a cookie. But finally she realizes that yep, she is at rock bottom but she’s going to be fine. Because all good rom-coms, whatever their engine of comedy or romance, are about – wait for it – loving and knowing yourself. I’ve been around a lot of grief lately. I wish people handled it in as entertaining a manner as this. Or handled it at all, instead of bottling it up, though that’s another post entirely. This is where I think my love of the perverse and sci-fi could really come out to play. Eternal Sunshine may well be my favorite movie of all time. Largely because it devolves into…. A lot of the time lately, grief blindsides me while we’re rushing around trying to hold it together. Grief is followed by chaos, or vice versa. And because we lean on people when we grieve, love often follows too. Death at a Funeral is one of my favorite examples of this. Precisely because it follows that exact pattern. In Bruges is about guilt followed by chaos and a good amount of violence, punctured with love between these two wonderfully charming Irish hitmen. And Four Lions. Disenfranchisement. Chaos. A good amount of violence. Punctured with love. Now I know, these aren’t traditional rom-coms. I’ve expanded the ‘rom’ to include all kinds of love. Because if we’re not writing about love, what are we writing about? Do your movies give people ‘pleasure’ or ‘joy’? I have a feeling this is going to be a long one. Because it’s about my mom. Buckle in, my friends. And I’m going to be saying ‘pleasure’ a lot. Try to keep your mind out of the gutter, Internet. I can’t remember the last time I saw my mother enjoying something. I once saw her pop a pickle in to her mouth and she looked ecstatic. But no, nothing after that. We spent her birthday in hospital in Vellore, Chennai. I tracked down a bakery and found her some awesome chocolate cake. She scolded me for it. And I can’t remember her eating even a little bit. My mother felt the need to earn pleasure. To reward herself for hard work. For reaching a goal-post. That’s all good. But the trouble is, those goal-posts are slippery. Like a just-lotioned toddler with no clothes on. My mother never earned the right to pleasure, though she did a lot with her life. Oh, but what is pleasure really, if you think about it? Life’s basic necessities with a little extra oomph. Tea and cakes instead of bread and water. A silky pajama with lace trimmings instead of trusty old cotton. It’s, of course, a matter of taste what is pleasing. But what I’m getting at here is, it’s just a little prettier than what we would normally have. There were times when my mother would deny herself basic necessities too. I remember shopping for my impossible-to-please husband with my mom. Some backstory: Sri Lankan Muslims have this beautiful custom of exchanging gifts when a couple gets married. There’s a couple of baskets of stuff for the bride/groom – usually clothes, toiletries, costume jewelry, the stuff you might give your spouse on an anniversary. And lots of baskets of fruit, chocolate, all kinds of food, for the bride/groom’s family. A flipping humongous cake is also customary. After the wedding, the food baskets get divided among all the relatives present. It’s finger-licking good. On this particular occasion, we were shopping for my husband’s baskets. I was sending him picture after picture, trudging into one designer outlet after another, and the dude just wasn’t satisfied. But it was lunch-time and damn it, I wanted to eat. She wanted to keep looking. Freaking heck, Indiana Jones couldn’t find what this guy wanted. But my poor dear mother wanted to skip a meal to keep trying. Pleasure? She hadn’t pleased her overlords, so she did not even deserve food. I forced her to sit down and eat. This makes me a spoiled brat. A food-court Chinese meal. Tell me this isn’t about colonialism. That this isn’t about misogyny. Now I’ve followed my mother’s example faithfully.I used to regularly work myself into a nervous breakdown. BUT. After years of depression, anxiety and, God help me, a little guy who might follow in my footsteps, I want to change all that. I want to experience the delicious things of life. And I don’t wait till I hit a goal either. That particular habit, I haven’t shaken yet. My goals aren’t as SMART as I’d like. I’m working on it. But – yes, another but – I’ve found that cake is nice and all, but it’s even better with company. Which leads to me to this other concept. JOY. Joy is sacred. Pleasure is the doorway to the sacred. You can share pleasure with just about anybody. But joy has to be earned. Joy is the difference between love and lust. Between hunger and satisfaction. After overdoing pleasure, I’m now looking for joy. In every part of my life. I’ve recently taken up yoga with this awesome woman’s videos. I love that yoga practitioners tend to be radically calm. They don’t pour their bodies into punishing sports clothes and then yell and push till we all faint. I’d like to leave a session of exercise marveling at my body, not hating it. Aerobics has always made me hate my body. Even if and when they speak of ‘modifications’, the underlying idea is that those are for the weak among us. The thought felt Like an electric shock, like a whip to my back. And joy? Joy was an insult to God. I need to always be humble and humility excludes joy. I don’t know who taught me all of these lies about worship and God. Which leads me to storytelling. My stories might be pleasurable, but are they joyous? This is where it might help to let go of structure and just tell a good story. To really dig deep into what makes you unbearable and establish a connection with the audience. Ultimately the movies we remember didn’t just bring us pleasure, but also joy. Oh but it’s more than that. Because as we all know, Death is coming for all for us – and not the adorable Discworld kind either. Most of us have no idea when it’s going to strike. We should find that joy before it’s too late. And walk through as many pleasure doorways as our senses and values and resources will allow. See. Told you it would be too long and about my mom. So I just finished an excruciating page-1 rewrite of Whose Wife Is It Anyway for Zero Draft Thirty. I thought I’d take a glorious week off. Do some yoga. Meditate. Bake. Paint. Take deep slow nourishing breaths. My friend Hudson Philips posted this on the Facebook group for ScriptBlast. Terry Rossio, writer of Pirates of the Carribean: The Curse of the Black Pearl, wrote an article called ‘Time Risk’ for his excellent site ‘Wordplayer’. I read. I cried. I read some more. Cried some more. And now I want to get to work. This article really made my head spin and it hasn’t stopped spinning yet. I thought I’d do other time-poor writers a solid and write a Cliff Notes version. Feel free to suggest amendments. Spend time making films, not trying to get films made. That is, with the cameras rolling. When cameras are rolling, brands are built and power accumulates. Damn. Makes me want to go out and get an Arriflex right now. What kind of time-risks do other players have, compared to screenwriters? Directors can direct a hit feature and almost certainly be asked to do another, though it may not be something they are nutty about. They can direct a string of hits and become major league players who get to choose what they want to do next e.g. Spielberg, Nolan, Cameron, etc. Rarefied air indeed. If they direct a flop film, they do land in movie jail. Note – this is only with regards to features. I don’t think this language of flops and hits exists in the short film world, which are directing samples much like specs. Actors are all looking for that big break. A lead on a hit film or TV show can instantly book tons more projects. If even one of these is a hit, it leads to even more. Time risk at the beginning is enormous: auditions, preparation, classes, etc. But the payoff, as described above is EPIC. Age (mostly for women – it’s a fact, don’t shoot me). Their work usually starts when the camera is rolling i.e. onmaking films. Their time commitment to a project might be measured in months, not years. I’ve spent four years on Whose Wife alone. Gah. They can do multiple projects in a year due to this relatively lower time commitment. Much like directors, they might not always do work they like. But if they get really big, they get to choose. They might even charge a reading fee (just to read but not commit to the script). This further mitigates time risk. Of all of the monkeys in the circus, I feel the most kinship with this one. With a few differences. We commit to one, maximum two projects per year. They commit to numbers in the double digits. Hedging their bets. They sometimes don’t even read the screenplay. They might have only read coverage. The writer faces that blank page with an idea and faith in that idea alone. We’re betting on our good judgment. The producer would likely only read the script after it was recommended by a trusted source. Raising the writer above the competition. He likely has more knowledge whether the finished project will work or not in the marketplace. Again elevating the writer. Then and only then does his/her work begin. All I could glean is that it is not the agent’s job to produce. It is their job to manage ‘heat, maximising pay-off when a project or writer generates interest.’ So after a writer does her job and a producer does hers, then the agent steps in and really blows it up. Right? No idea. Yet. Okay, here we go. Clutch your pearls. Screenwriters cop the most time-risk. Why? Most of our work happens before cameras roll. By definition, we really get the short end of the time risk stick. I tried looking for patterns, but realized that what we all want to know: Is there anything I can do? If so, what? The only things we can control are our actions. So I divided the time liabilities by what we do to ourselves, what others do to us and things that no one can anticipate. Things we do to ourselves. Writing on Spec: Of course we all know what the time risk here. We’re faced with it everyday. The odd thing even pro writers are often asked to write on spec. WTH. Free Revisions: Essentially it’s work for free for people who do not deserve it. Both factors must exist for this to be time risk. Free work. And the people must really not deserve it – bad notes, revisions are only a stalling tactic etc. The Agent Hoop: Agents giving you notes when we are the experts here. Assignment chasing: Essentially this is a job interview, which is enough to give me the shakes (I was laid off twice, fired once. Thank you, Recession). But it’s much WORSE than a job interview. You have to review materials – think of comic books that have editions stretching back decades. You have to develop a take. That won’t tick off fans but will hit all the right ‘boxes’. It’s enough to drive you potty. Giving notes: more unpaid work. But this time for friends. It’s awesome and fulfilling to help out friends. But there comes a point, I think, when it becomes a time risk. Things other people do to us. 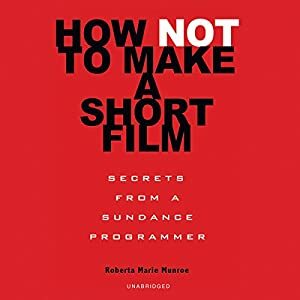 Getting fired: Despite the fact that everyone who signs on does so because of the script, the person most likely to get fired for one reason or another…is the screenwriter. Credit arbitration: The first time I’m thinking about it this way. When multiple writers are used on a screenplay, this naturally leads to credit disputes. The WGA limits the number to four and stratifies them according to who got there first. Not letting the un-credited writers leverage the produced film into their brand. Which is a huge bummer. Sweepstakes Pitching: Oddly enough I think I was landed with this one recently. I guess I’ve arrived right? Arf. Sounds like the studio opens it up, knowing that only one can be hired. Another way of hedging their bets. Sometimes there is no assignment a.k.a. The Phantom Assignment. Sometimes they’ve already chosen their writer and are simply mining ideas from the pitches that, if not written down, will show up in the next draft of the project. Sometimes they are leaning towards one writer. The Rights Hustle: You think they have the rights to something branded, but they don’t. Hidden Previous Materials Boogie: You think you are the first and the last on a project, but you weren’t (this is sounding a lot like a country music song.) Leading to a messy credit arbitration. The Vanity Option: A movie star’s pet project (yours) is humored to stroke the ego of said star. Nothing ever comes of it. But no one will tell you that. Parallel Draft Deal: asking one or more writers to write their take on an idea. Sweepstakes writing, rather than pitching. The Round table: Writing in a round-table. May not be a bad thing, but when it comes to credit arbitration? Contract delays: Nobody gets paid unless those freaking documents are signed. Turnaround costs: Projects that die can be sold to other studios. Sometimes the first-buyer studio can charge a thumping sum or are just plain difficult to deal with. Lawsuits: Apparently successful films are always sued. God. Whims: Well. You can guess this one. Gone in 60 seconds: A concept spoken about verbally is stolen. The Boxed In Draft: Your draft is boxed in by the tastes of a high-powered player (director or actor, from what I’ve heard). Pitching up the ladder: Us first-timers are unlikely to meet people at the top – the one who really makes the decisions. We are likely the people lower down who, if they like it, pitch to their boss. Then they bring us in to pitch to their boss. If they like it, so on and so forth….Lots of potential for rejection. In Hollywood, it’s well-accepted that projects in production take priority, then films in pre-production, then films in post, and after that, new projects. That means that we get pushed to the back-burner. This is especially significant if a step must be executed for us to be paid. Developmental Art: Might work in spades. Might also cost a lot of time and money. The Child Killing Gorilla: An executive who takes over from another and murders all their children (figuratively) i.e. their projects. The Hit Song: We need more than one hit. We can’t be Milli Vanillis. Option Expiration: Studio options an IP (not buys it). We get called in to write a script. Option expires before script achieves escape velocity (first day of principal photography). Now studio no longer owns IP. You would think that we could sell the script to the next owner. Nope. They can’t even read it for fear of plagiarism suits if they don’t buy it. Lord have mercy. Learning curve: Man, it takes long enough learning this stuff. What can screenwriters do about time-risk? Answer: spend time making movies, not trying to get films made. This means becoming a hyphenate, whether we like it or not. Believe me, I don’t like it myself. But those doors slamming shut in my face are starting to ring in my ears. I’m starting to be frightened of my inbox. From those e-mails that start ‘Thank you for your submission!’ <—- notice the guilty exclamation mark. We all know what they REALLY mean when they say ‘thank you’. Start and finish: If you’ve originated a concept – write a book so you own the IP. Insist on being a producer so again you’re attached to the IP. Or if it’s the tail end of a project, write production rewrites, so you know your work will be filmed. It’s the middle that’s commonly termed ‘development hell’. Pitch as high up the ladder as possible. Double-book – train your agent to always be lining up jobs. Given the Hollywood machine – it’s hardly likely you’ll have two jobs at a time. Prepare for the ‘You’re Dumped’ phone call – The phone call that lets you know that any or all of the above things have happened and your time has just been wasted. The hardest part is the person on the other end will likely be excited that their project is further along. Make friends with sellers, sell to buyers: The buyers are the ones who greenlight pictures. Everyone else, even in their production company, is trying to get them to do so. So really we’re all in the same boat, just with various levels of access. Until you reach the seller, it’s relationship building, not selling. Stop-loss: put an expiration date on your project. Own your IP – write the book or the play instead. Then you own the original IP. Spend your time risks – at the beginning of your career, we have time to burn. Use it wisely. Stack: Work on two projects at a time. Maximise pace and benefit by working on one project with a partner or playing producer and outsourcing a concept to another writer. Become a director. I’ll let Mr. Rossio say it himself. Be the Cohen brothers. Learn to direct as well as write. Concentrate on learning both crafts. Television – Television is harder to break into but more stable once we get there. Sequels: If you’re choosing between two ideas and one of them has sequel potential…Ocean’s Eight. Need I say more? Give upwardly mobile notes: notes can be like a job interview. Avoid the Money Guy like the plague: This is someone who doesn’t have the money, but claims they do from some rich recluse somewhere. Always boasts about something big they did previously. Always negotiating their cut. Start an animation studio: Because all you need is an idea, some clay, a kitchen table and a camera that takes good stills. Which is probably all phones these days. Once it stops spinning, I’m going to ruminate on next steps. Maybe road-test some things in the next few months. And come up with a modified plan. Because those ‘thank you’ emails make me want to punch someone.